It could be argued that Grave Digger is the most famous monster truck in history, but did you know the first Grave Digger truck was originally used for mud bog racing? Created in 1979 by North Carolina native Dennis Anderson, the first Grave Digger, made use of a 1952 Ford pickup truck body, which was lifted and equipped with big mud blog tires and a small block Chevy engine. Anderson got his big break when a monster truck failed to appear at a show, and since Anderson’s truck already featured big tires, he was given the opportunity to take its place at the event. Anderson crushed some cars—which made the crowd go nuts—and the event’s promoter went on to include Grave Digger in subsequent events. Grave Digger would become a true monster truck in 1985, when the Ford pickup truck body was replaced by that of a 1957 Chevy Panel Wagon, which featured an even larger engine and tires. The other parts for the Grave Digger were scrounged from junkyards. Today, Grave Digger no longer has its old dull orange exterior. In its place is the Monster Jam truck’s signature green and black flame motif. It has even added some Halloween-inspired decals—complete with ghosts, tombstones, and a haunted house. 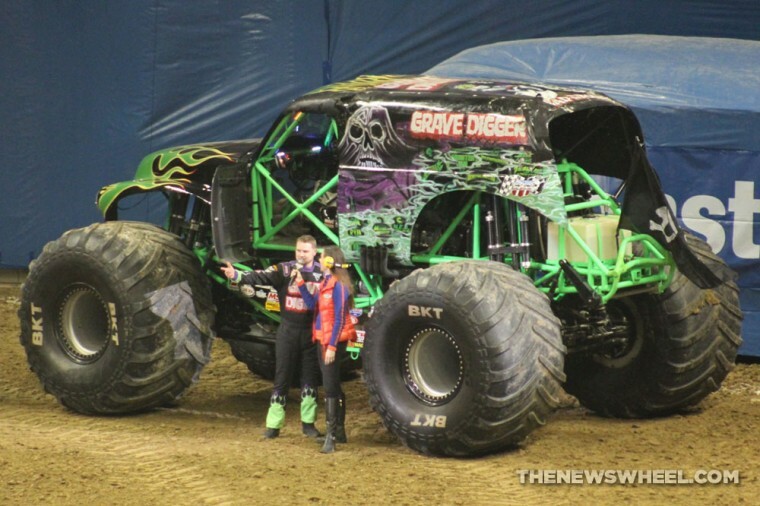 Grave Digger received national attention in 1987 when it defeated rival and monster truck legend Bigfoot at an event in St. Poodle, Minnesota, which was broadcast by ESPN. Anderson would go on to showcase his vehicle at more shows and created memorabilia, such as posters and shirts, that he sold to fans. Anderson eventually accepted an offer from TNT Motorsports, which paid Anderson to race and tour Grave Digger. This monster truck quickly became one of the most decorated Monster Jam trucks in the world. 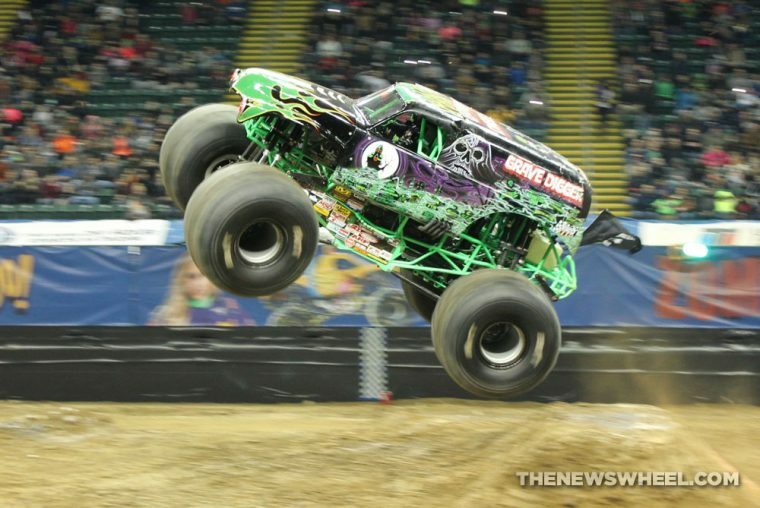 Grave Digger would become so popular that Anderson would hire additional drivers to race more Grave Digger monster trucks across the country. 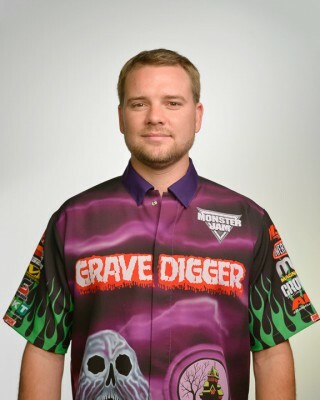 Anderson later reached an agreement to sell his brand to the company that is now known as Feld Motor Sports, which uses Grave Digger as the flagship truck in its Monster Jam series. Now, Cole Venard drives the truck, along with Adam Anderson, Charlie Pauken, Jon Zimmer Pablo Huffaker, Randy Brown, Morgan Kane, and, of course, the original Grave Digger himself—Dennis Anderson. Grave Digger has won four Monster Jam World Finals Championships and usually is the last truck to perform. Grave Digger has become well-known for its all-or-nothing driving style, which typically results in amazing tricks and also spectacular crashes. 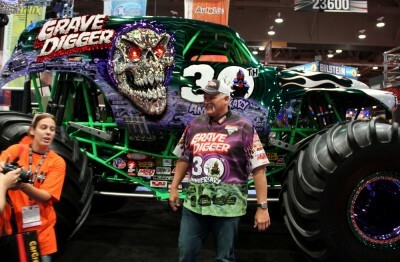 Grave Digger celebrated its 30th anniversary in 2012.